m SG 9/14. 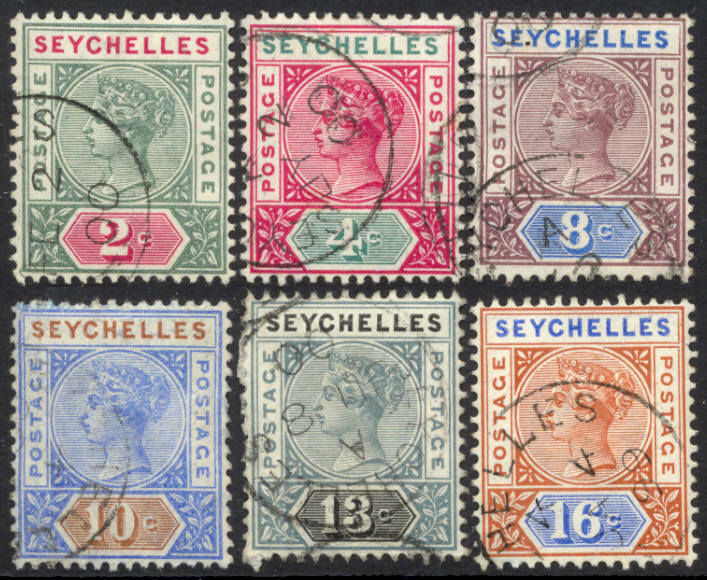 Victoria 1892 (Die II) - complete set. (£ 18). m SG 30/31. 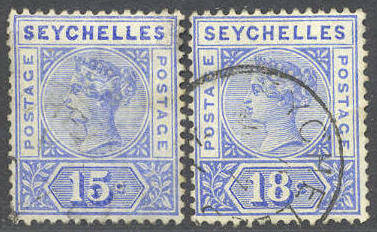 15 and 18 c Victoria 1897. (£ 4). Y SG 33. 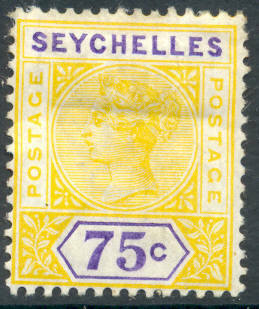 75 c Victoria 1900. (£ 55). m SG 55. 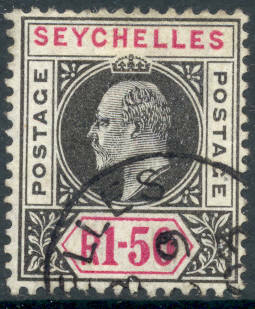 1 R 50 c Edward VII 1903. (£ 70). m SG 56. 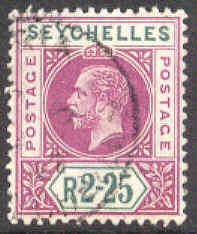 2 r 25 c Edward VII 1903. (£ 85). m SG 65. 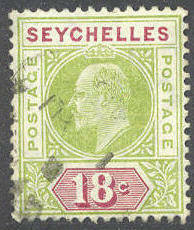 18 c Edward VII 1906. (£ 6). m SG 66. 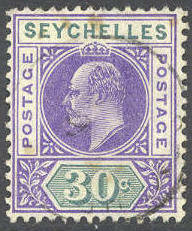 30 c Edward VII 1906. (£ 8). m SG 67. 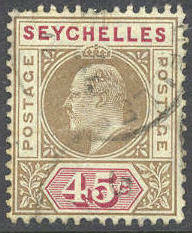 45 c Edward VII 1906. (£ 6). Y SG 68. 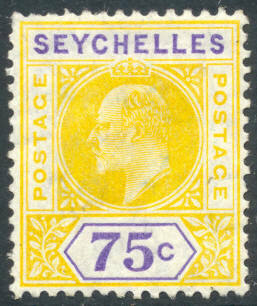 75 c Edward VII 1906. (£ 9). m SG 69. 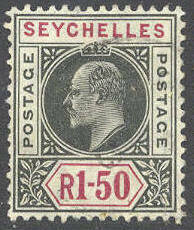 1 r 50 c Edward VII 1906. (£ 60). Y SG 70. 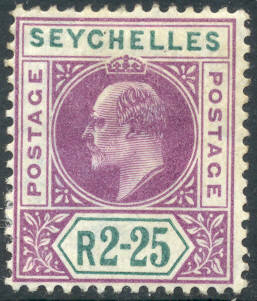 2 R 25 c Edward VII 1906. (£ 35). m SG 81a. 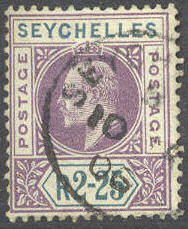 2.25 rupees George V 1912 - lettstemplet pent merke. (£ 30). m SG 114. 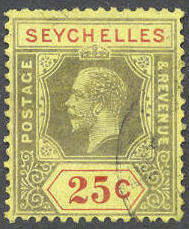 25 c George V 1925. (£ 14). m SG 115. 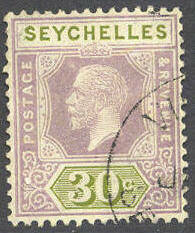 30 c George V 1921. (£ 15). m SG 119. 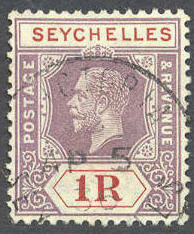 1 r George V 1921. (£ 18). m SG 121. 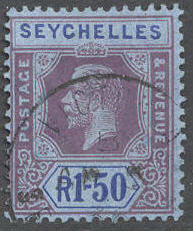 1 r 50 c George V 1921. (£ 22). YY SG 135/149. 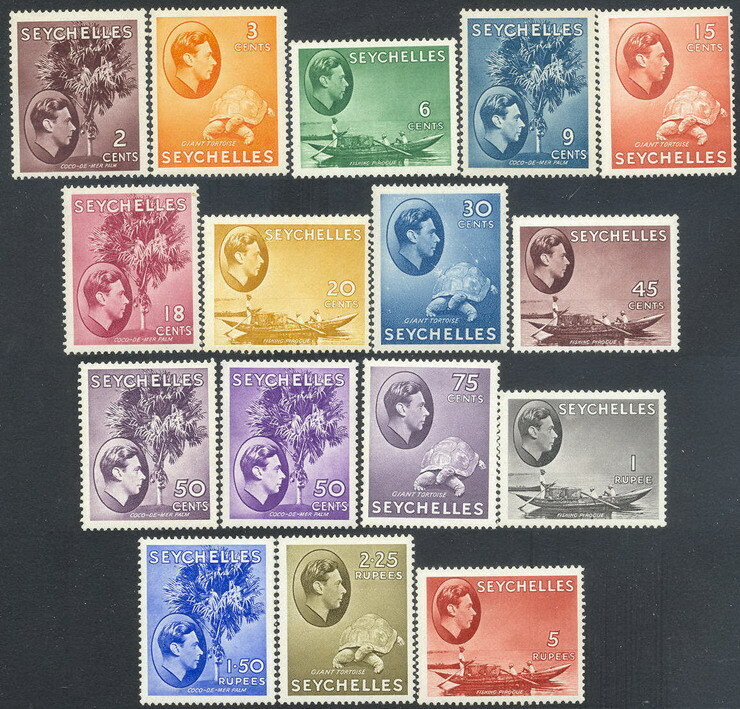 Definitives 1938 - 16 values. (£ 98). Y SG 136/142. 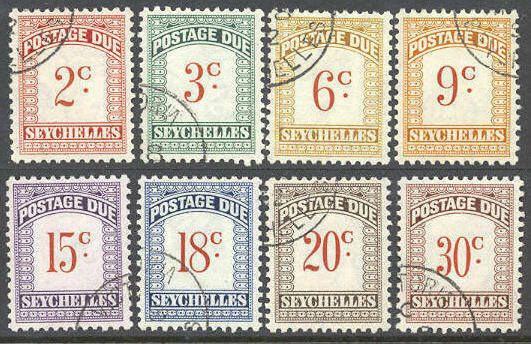 Definitives 1938 - 7 values LH. (£ 230). m SG D 1/8. 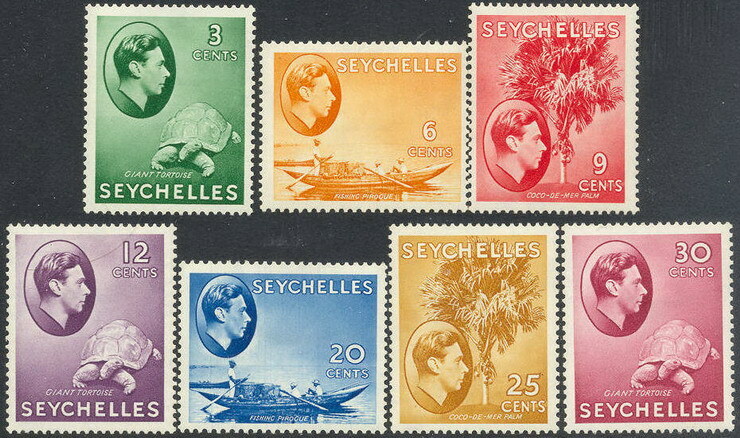 Postage due 1951 - complete set. (£ 42).